before + after — Pencil & Paper Co. Thought I would share a weekend styling project that I just completed for an adorable Pencil and Paper Co client. This cute young couple lives in a darling historic bungalow. They were so fortunate to already own great furniture....but I felt like the art and accessories did not "fit" this vibrant young couples "colorful, fun, preppy" personalities! While the couple was out of town for the weekend I rearranged the living room furniture into a more intimate configuration.... that focuses attention on this amazing vintage fireplace! The new layout is perfcet for entertaining guests and cozying up on cold winter nights! The big change is adding in a "pop of color" via pillows and accessories- pulled from their original area rug. We also updated the art with some great vintage finds (signed prints) that were brought back to life with new framing and linen mattes. 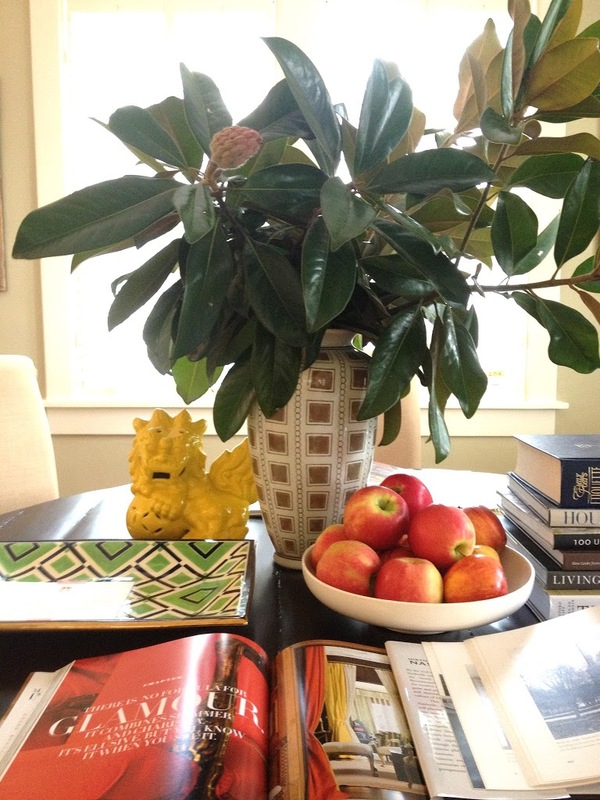 The previously rarely used formal dining room is repurposed as a great "library table" featuring the client's beautiful book collection...and livened up with fresh apples and magnolia branches (cut from the yard)! The side board is repurposed as a functional bar with an amazing pair of large scale ceramic lamps scored at TJ Maxx for $59.99 each! I would say they are "party ready"!! !